I don’t know about you? But, when the temperatures cool down and the leaves start to burst with color, I begin to crave everything pumpkin spice! Did you make my Pumpkin Spice Room Spray I shared last year? It’s autumn all bottled up and ready to spread anywhere you choose. This recipe not only smells like pumpkin spice is made with pumpkin seed oil. So, Is Pumpkin Seed Oil Good for Your Skin? Pressed from the unhusked seeds of pumpkin, the oil contains an abundance of nutrients for the skin. For starters, pumpkin seed oil is a rich source of vitamin E, which has powerful effects on the skin’s appearance and texture (source). It also contains antioxidants, zinc, and omega fatty acids. All of which work together to help our skin maintain a youthful appearance (source). In a large glass bowl combine fine Epsom salt, pumpkin seed oil, and nutmeg essential oil. Stir thoroughly to evenly coat mineral salt. 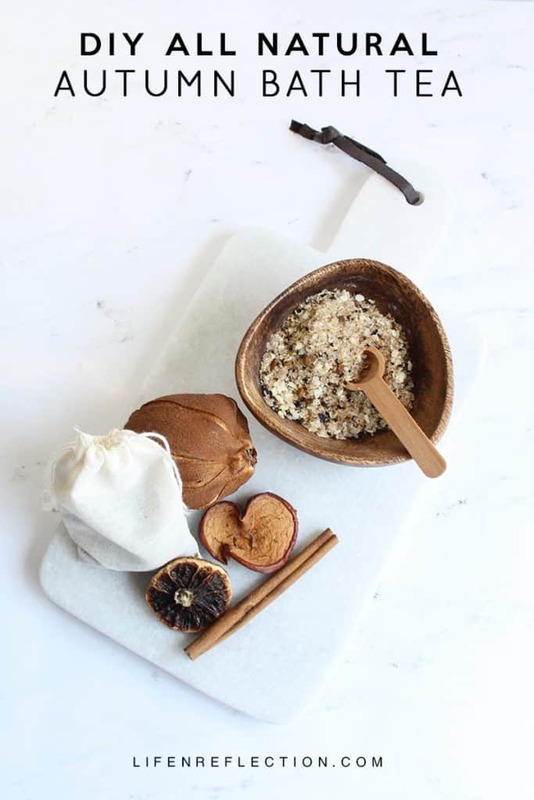 Add loose-leaf pumpkin spice tea, toasted quinoa flakes, and pumpkin pie spice. Stir well to combine and pour into muslin bags or airtight containers. Substitutions: You can substitute 1 teaspoon of sweet almond oil for 1 teaspoon of pumpkin seed oil. And you may substitute 1/4 cup of rolled oats for 1/4 cup of toasted quinoa flakes. My favorite quinoa is from I Heart Keenwah. If you don’t have a jar of pumpkin spice, make your own with this DIY pumpkin spice recipe from my cookbook series Bittersweet Walnut Grove! To Use: Scoop two heaping tablespoons into a muslin tea bag. Tie closed with twine. 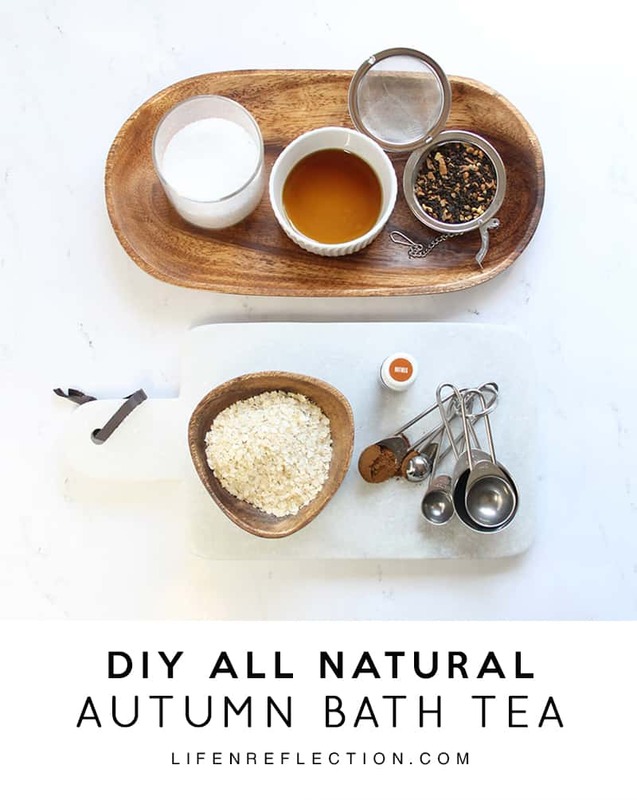 Pour a hot bath and place a pumpkin spice bath tea bag into the water. 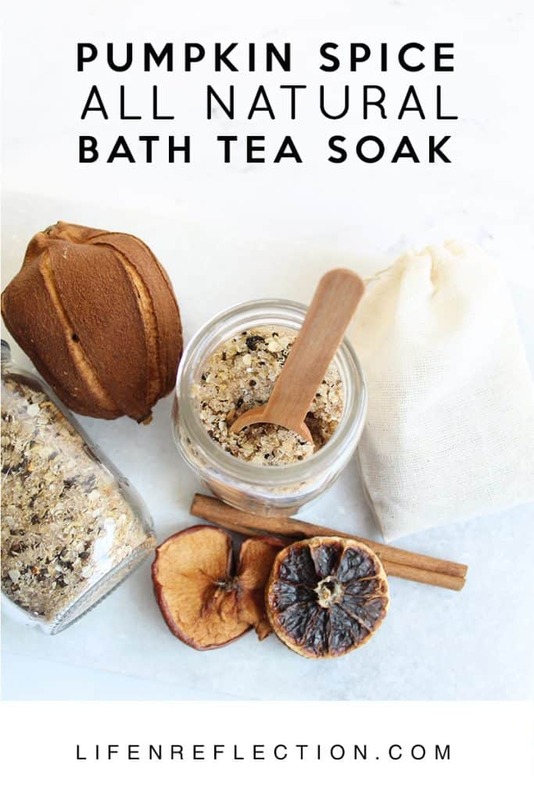 Soak and enjoy. Toss bath tea after use. Rinse to clean muslin tea bag for additional use. 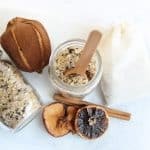 Whip up a batch or two yourself to ease sore muscles and rejuvenate your skin with Epsom salts, nutmeg essential oil, pumpkin seed oil, and quinoa. 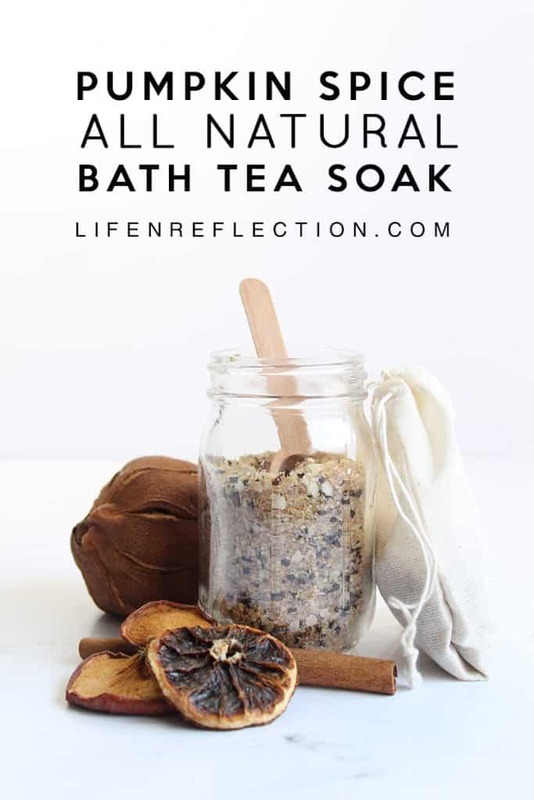 Learn all about the skin benefits of quinoa from I Heart Keenwah in my recipe for a Bubbling Lemon Vanilla Bath Soak.